FIFA 19 is the next annual instalment in EA Sport’s football simulation FIFA franchise. 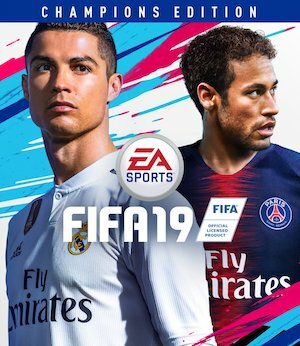 Like last year, Cristiano Ronaldo will once again be the cover star for FIFA 19, but this time, he will also be joined by PSG star Neymar. The latest instalment will also be the first one in the series to include licenses from UEFA competitions, so competitions such as the Champions League and Europa League will all be included in the game with full licensing. A custom-made version of the game will also launch on the Nintendo Switch, just like its predecessor. EA Sports shifted the FIFA franchise over to the Frostbite engine with 2016’s FIFA 17, and the results were immediately apparent, with significantly better visuals, and the game being able to leverage the engine’s added capabilities to deliver a more authentic, realistic, and immersive experience. 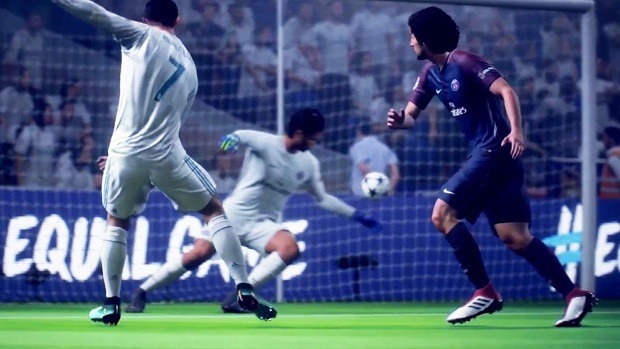 Like like it, and FIFA 18 the year after, FIFA 19 will also be running on the Frostbite engine, and we should continue to see notable new advancements and additions to the moment-to-moment gameplay as a result. However, there is one catch- FIFA 19 will only run on Frostbite on the Xbox One, PS4, and PC. Just like last year’s version, FIFA 19 on the Nintendo Switch will run on a custom made engine. EA have stated that there is a possibility that future Switch versions of FIFA could run on Frostbite, but Switch, as a system, is considerably less powerful than its PlayStation and Xbox counterparts, and it simply cannot handle Frostbite in its current state. Not wanting to create a dumbed down version of the engine, EA Sports have instead chosen to build on the engine that they used for FIFA 18 on the Switch with new improvements. Most of these should revolve around better and sharper visuals, while EA Sports are also adding more personality to the teams and individual players and their AI. What other improvements FIFA 19 on the Switch will have (if any) isn’t something EA Sports have spoken about at this point. The big new addition in this year’s FIFA, which will be seen across all versions of the game, is the Champions League, the biggest club competition in football. 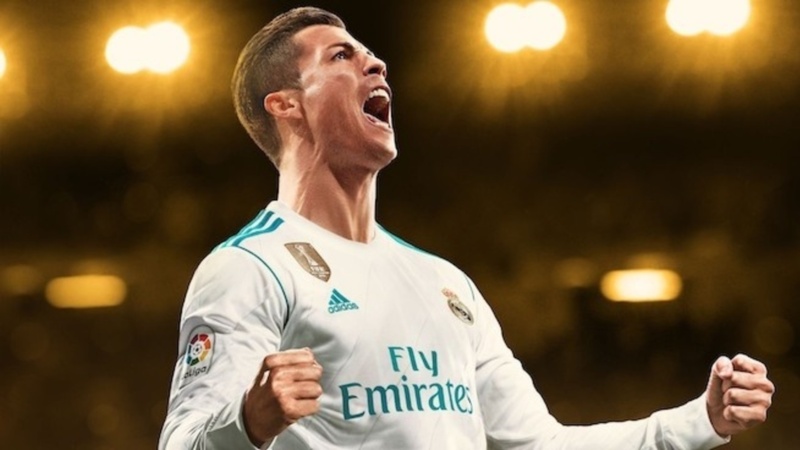 After UEFA ended their partnership with Konami’s Pro Evolution Soccer earlier this year, it was announced that EA had snagged the rights to the license, which means that FIFA will not include all UEFA competitions, fully licensed. 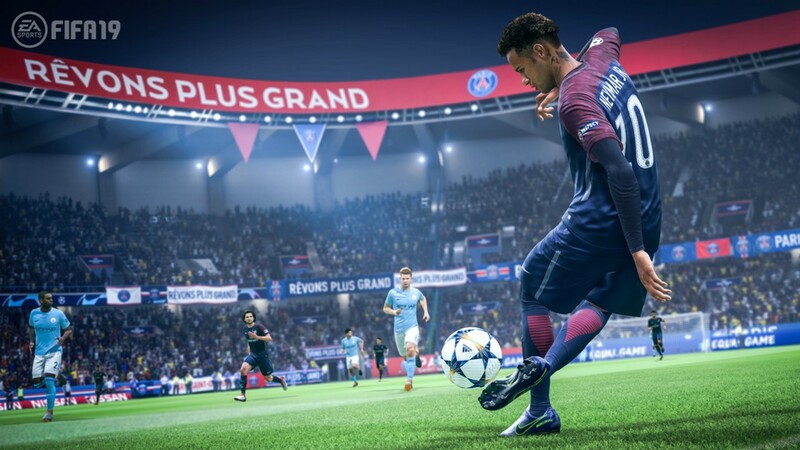 It was the one notable area where it was unanimously agreed that FIFA was lagging behind PES, so fans of the series should be quite excited about this addition. FIFA 19 will, of course, continue The Journey, the single-player narrative driven campaign that was introduced in FIFA 17 and returned for a second season in FIFA 18. The story will once again focus on the young rising star Alex Hunter, and continue following his journey both on and off the pitch, as a rising football star, and as a person as well. EA Sports have confirmed that the UEFA Champions League will indeed be part of The Journey as well, meaning that Alex Hunter will get to play in the biggest club football competition in the world. FIFA 18 also featured Kim Hunter, Alex Hunter’s half-sister, and Danny Williams, his best friend, as playable characters for brief periods, but whether or not they will be returning in a playable capacity in FIFA 19’s The Journey isn’t something EA Sports have spoken to yet. We wouldn’t bet against it though. We also know that this is supposed to be the last chapter in Alex Hunter’s story, so it should be interesting to see how things are tied off. Beyond these things, however, not much else has been shared by EA about The Journey, but they have promised more details on the mode before the game launches. We’ve spoken quite a bit about the Champions League, and about how EA have managed to snagged UEFA licenses for FIFA 19. It is, obviously, perhaps the biggest new addition in this year’s instalment, and one that is bound to excite a number of FIFA fans. But what exactly will it entail? Well, ever competition under the UEFA banner will be included in the game- this includes, of course, the Champions League, the Europa League, and the UEFA Super Cup, which is a match that is held at the beginning of a season between the current holders of the Champions League and the Europa League (just in case you weren’t aware). All of these competitions will be featured across all modes of FIFA 19. We’ve already mentioned that the Champions League is going to be a major part of The Journey, but it will also be included in the Career Mode, as well as Ultimate Team. With full support for all UEFA competitions, this means that relegations and promotions across the two tournaments will be part of the Career Mode. So if, for example, you should finish third in your Champions League group in the Career Mode, you will then be relegated to the Europa League for that season. Of course, it goes without saying that players can also play single exhibition Champions League matches should they wish to do so, or just boot up a single Champions League tournament from the game’s tournament modes. UEFA licenses will, of course, be included in all versions of the game (including the Nintendo Switch). You can expect proper presentation and user interface changes to go along with these licenses within the game, including pre-match cutscenes, realistic Champions League-like crowds, and what have you. Meanwhile, during UEFA matches, FIFA 19 won’t feature commentary from the regular duo of Martin Tyler and Alan Smith, but will instead feature a new commentary team, comprising of Derek Rae and Lee Dixon. This duo will only be in the commentary box for UEFA matches, though. As far the actual on-pitch action, EA Sports are making some small but important changes to give players greater control over the game. Among these changes is the new Active Touch System, a new system that changes how every player on the pitch receives or strikes a ball. This is going to lead to more fluid movement, and add more personality and authenticity to the players, and is being touted as a complete rewrite of the systems that govern how a player approaches and receives a ball. Another new system, called 50/50 battles, also promises to be a significant new addition. This will determine, based on the specific attributes of a player and their movement at the time on the pitch, how or even if they will be successful during on-pitch physical battles for possession of the ball. While previous FIFA games often devolved to holding down a button for these purposes, with this new system working behind the scenes, possession battles between players should be more realistic and dynamic. Dynamic Tactics is also a new addition in FIFA 19. For those who have been craving deeper tactical control over their game plans in FIFA, this system promises to be an interesting new addition. Dynamic Tactics will allow players to customize and create their own sets of tactics before a match, and EA are promising a great deal of control and fine-tuning for the players for these purposes. In the middle of a match, then, you can switch between the tactics you’ve created on the fly, to afford you greater and deeper control over your strategies during a match, and react to how a match is progressing with a greater level of strategy. Timed Finishing is also a new system added to the game, and it, too, sounds interesting. Thanks to this system, after you press the shot button, you can now press it once again right before your player kicks the ball. The timing needs to be precise, but if you do time it correctly, it will lead to a much better shot- more accurate, more powerful, with more curve. It is, however a risk vs reward system, and the timing of the second button press will have to be very precise. If you fail to get it right, it will lead to a disastrously bad shot. Interestingly enough, EA Sports have also added a one button controls option to FIFA 19. FIFA has already had a two button option for some time now, but for those who do not want the level of control FIFA is offering (or do not care about it) and simply want a more relaxed, accessible experience, the one button mode is now also an option. As for changes that are specific to the Switch version of FIFA 19, the most obvious has to be Online Friendlies, which will now allow you to play an online five match-long season with anyone on your friends list. Online options were severely lacking in the Switch version of FIFA 18, so this should come as welcome news to fans. Beyond that, EA are also tweaking things to give players greater controls over their shots, while also adding more realism to the way teams and players play. What this means is that teams and individual players in FIFA 19 on the Switch will now play more like they do in real life. On the visual side, EA Sports are upgrading the game’s graphics, while also adding interface changes and more to improve the game’s presentation aspect.